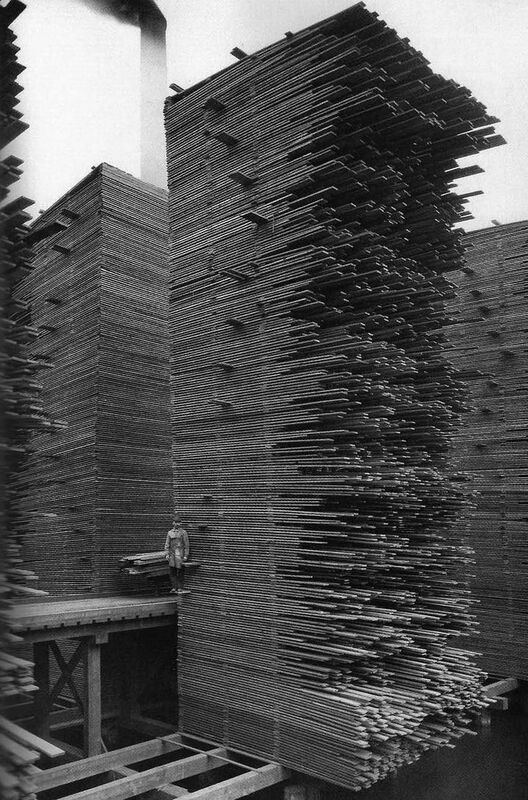 35 Rare Historical Photos You Have to See to Believe. 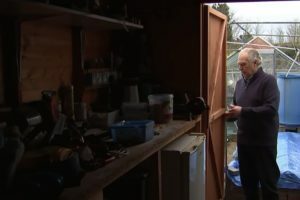 I Couldn’t Believe the Man Standing in #14. Historical photos are the only window we have to the past and there is so much people can learn from them. 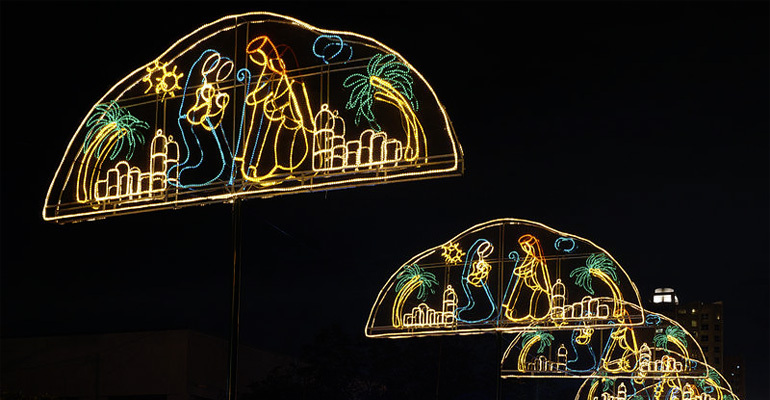 It is also interesting to see how much things have changed, and in some ways, how things have also stayed the same. 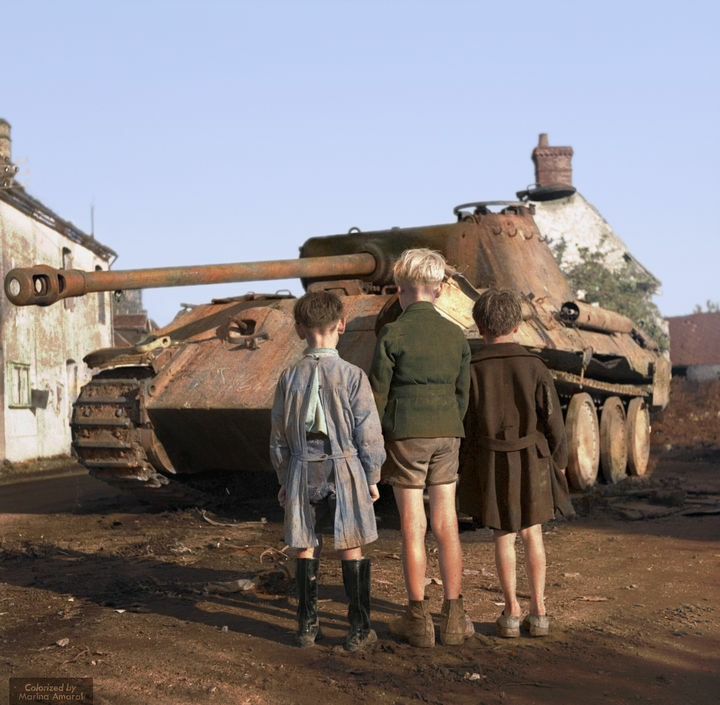 If you love historical photos, don’t miss these 58 colorized photos from the past. 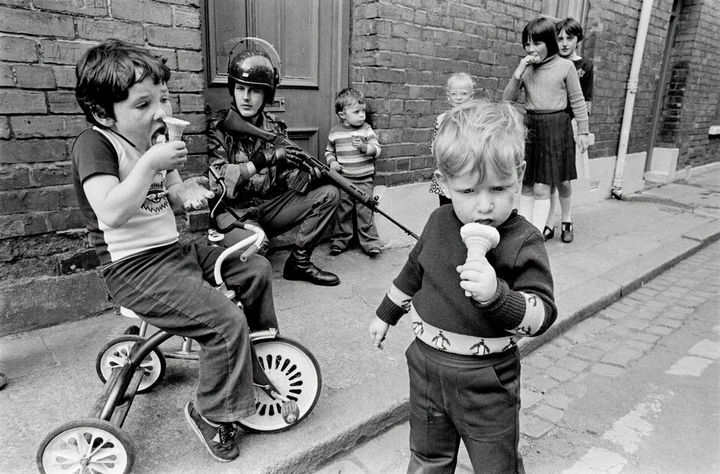 1) 1979: Children eat their ice cream cones while soldiers patrol the streets of Londonderry in Northern Ireland. 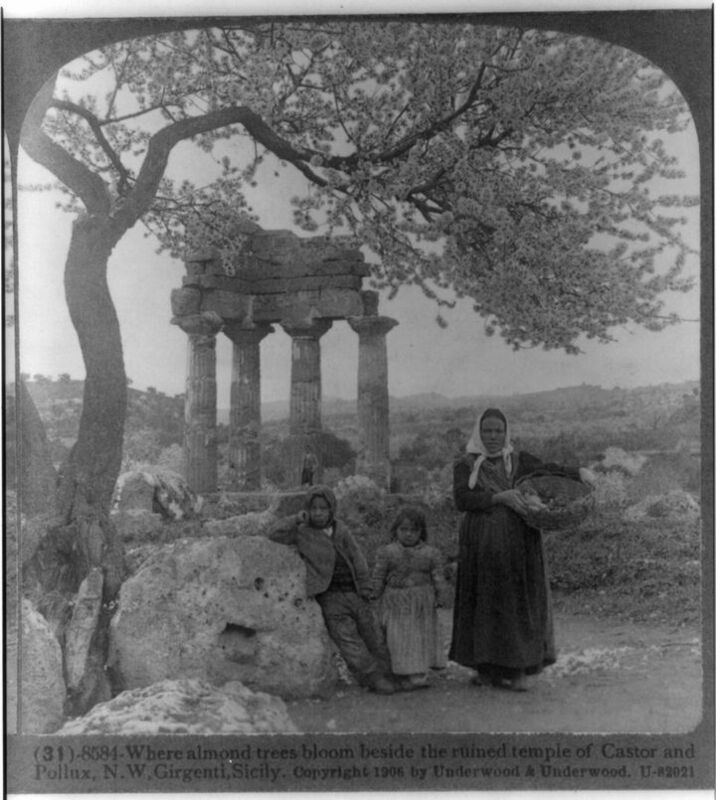 2) 1906: A family pictured underneath blooming almond trees beside the ruins of the temples of Castor and Pollux in the temples valley of Agrigento, Italy. 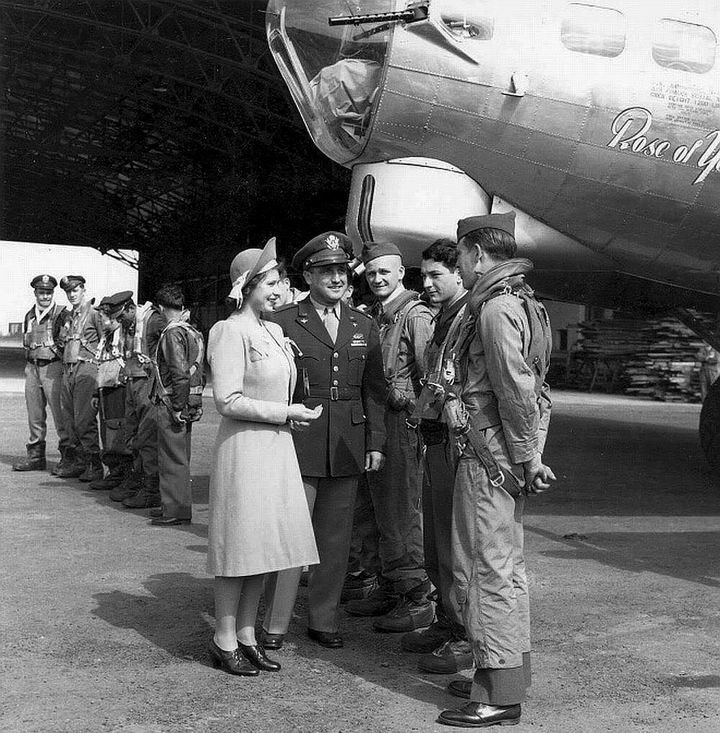 3) 1944: Princess Elizabeth visits an American air base in England during the second world war. 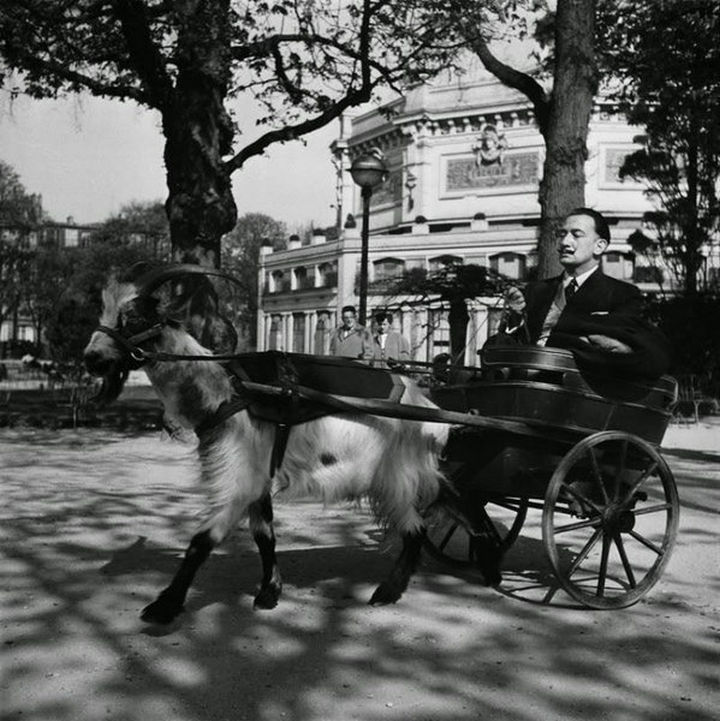 5) 1953: Salvador Dalí on a carriage drawn by his own goat. 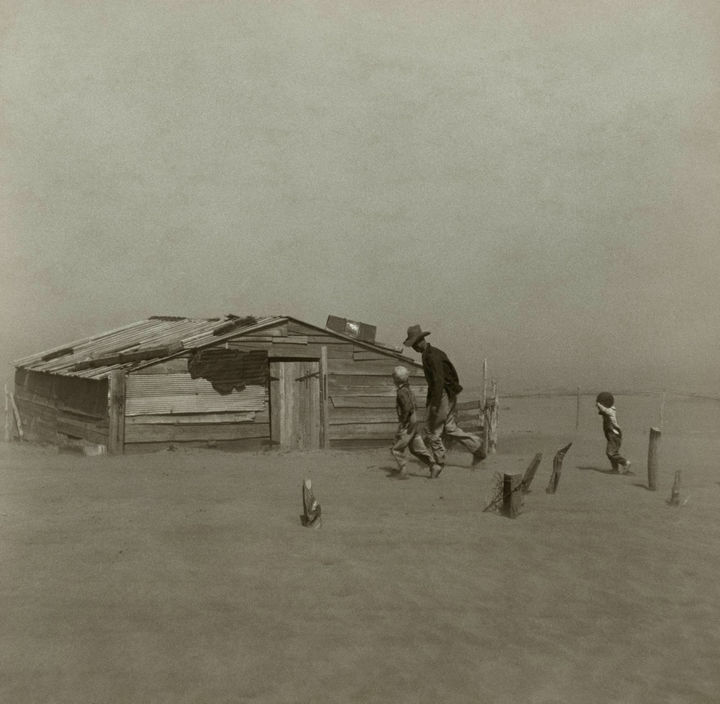 6) 1936: A farmer and his sons walking through a dust storm in Oklahoma. 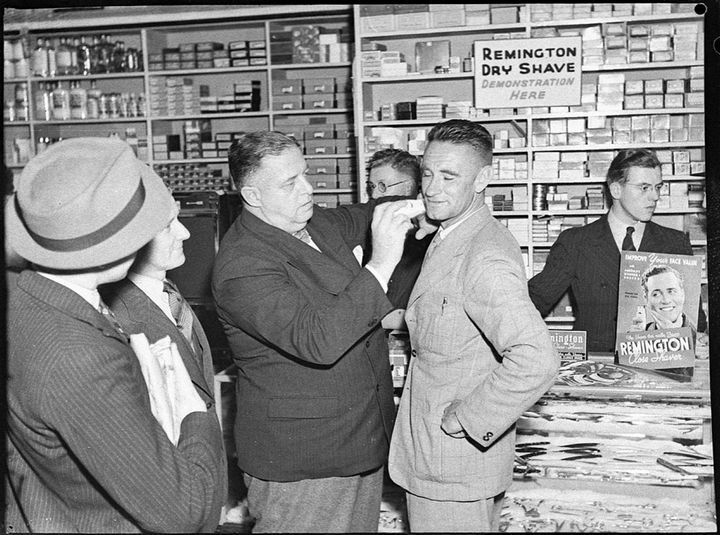 7) 1939: J.J. Hickey of Remington demonstrates the ‘ease and comfort’ of an electric shave on Ted Budrodeen, Mick Simmons tennis professional and coach, at a Mick Simmons store in Sydney. 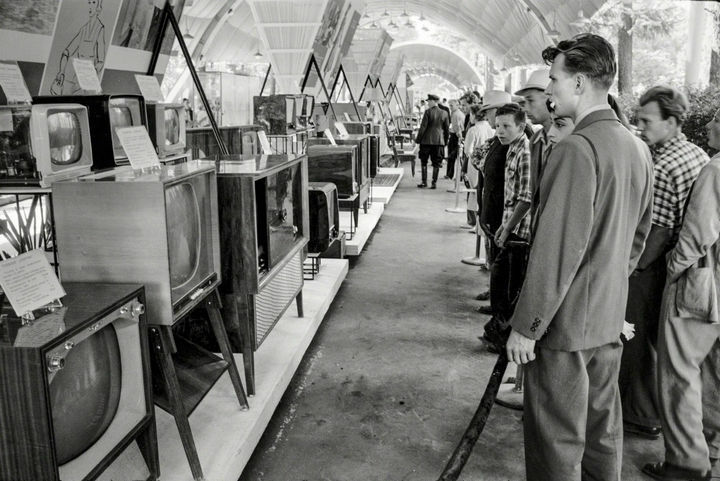 8) 1959: Russian attendees look at television sets and radios at the USSR Exhibition in Sokolniki Park, Moscow. The American National Exhibition was held next door to improve the political relations with Russia. 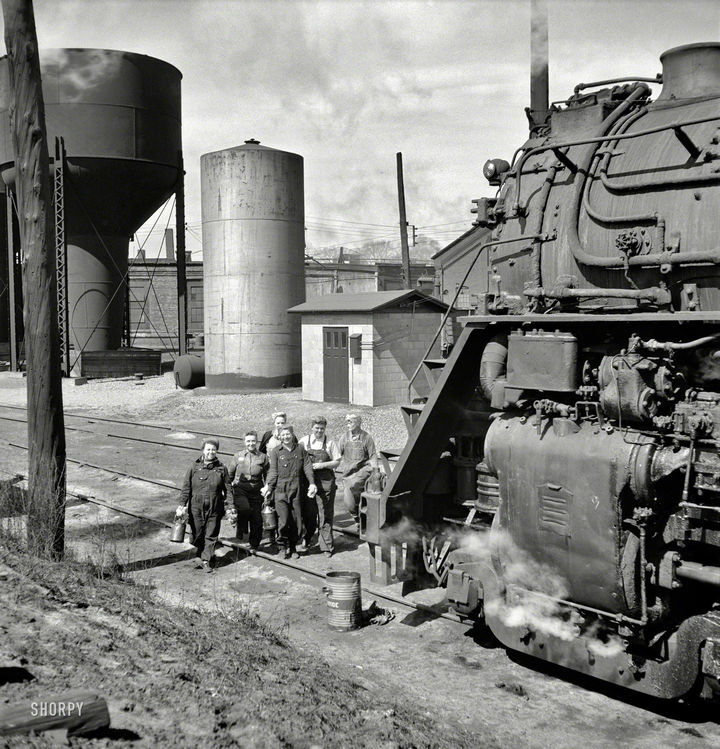 9) 1943: Women wipers cleaning an engine at the Chicago & North Western Railroad in Clinton, Iowa. 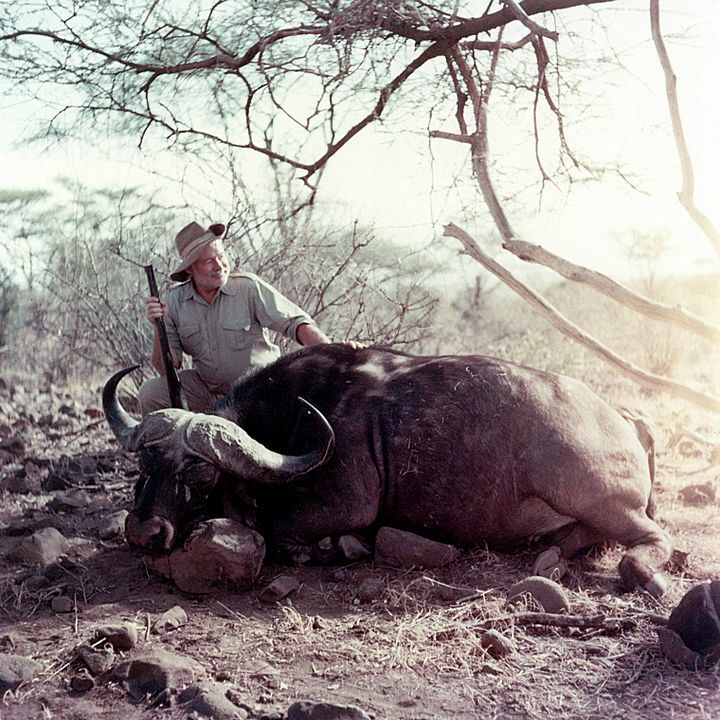 10) 1953: American novelist Ernest Hemingway posing with a cape buffalo on a visit to Africa. Reddit / Ernest Hemingway Collection. John F. Kennedy Presidential Library and Museum, Boston. 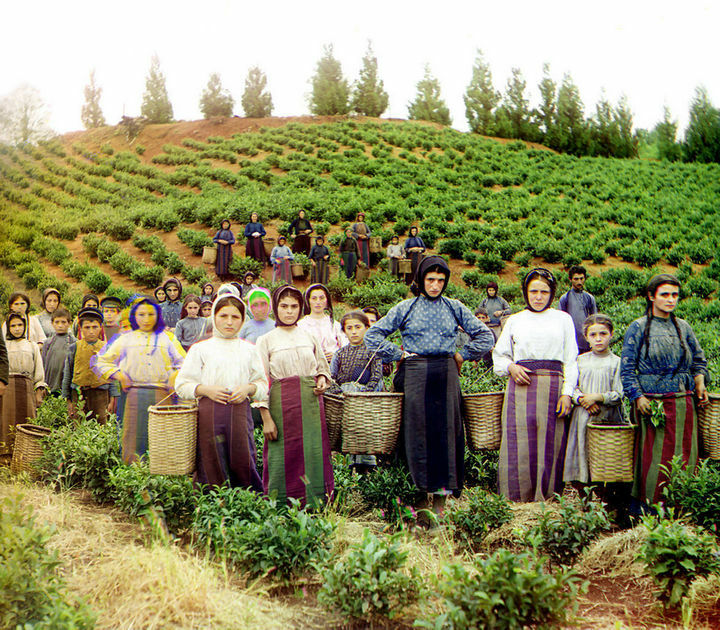 11) 1910: Colorized photo of Greek women and children harvesting tea in Chakva, Georgia. 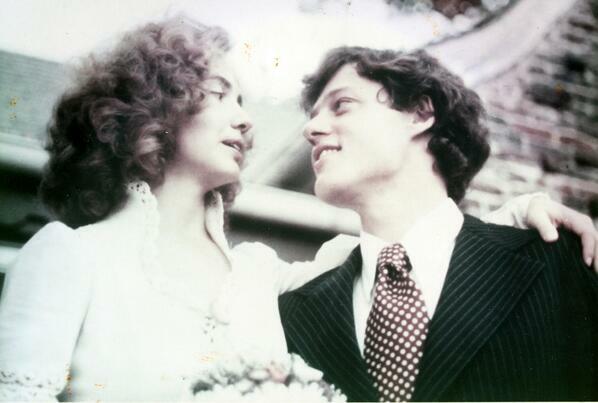 12) 1975: Bill and Hilary Clinton get married in Fayetteville, Arkansas. They couple met in the early ’70s in the library of Yale Law School. 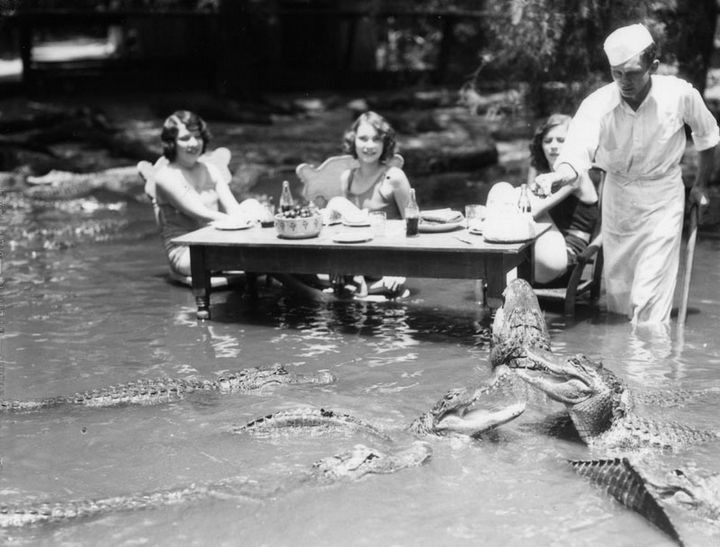 13) 1920: Three women dining with alligators at The California Alligator Farm in Los Angeles. 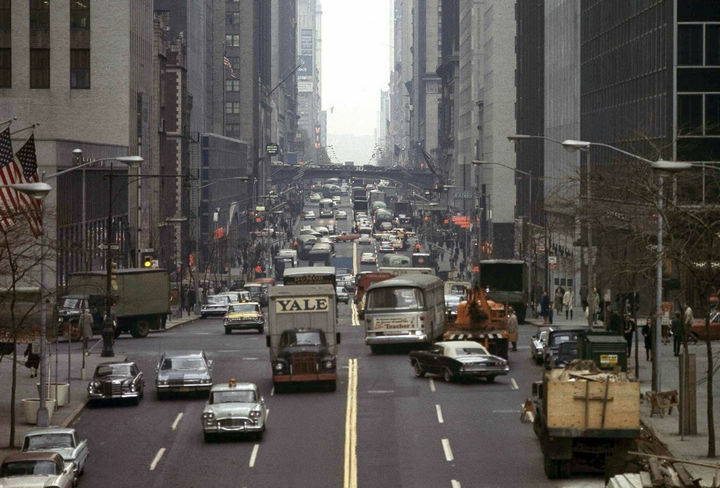 15) 1965: Looking west toward New York’s East 42nd Street. 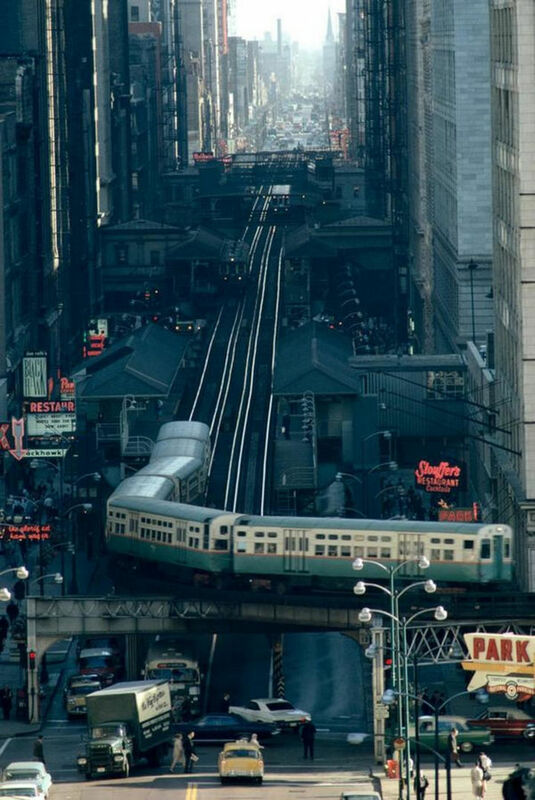 16) 1967: A busy day on the streets of Chicago. 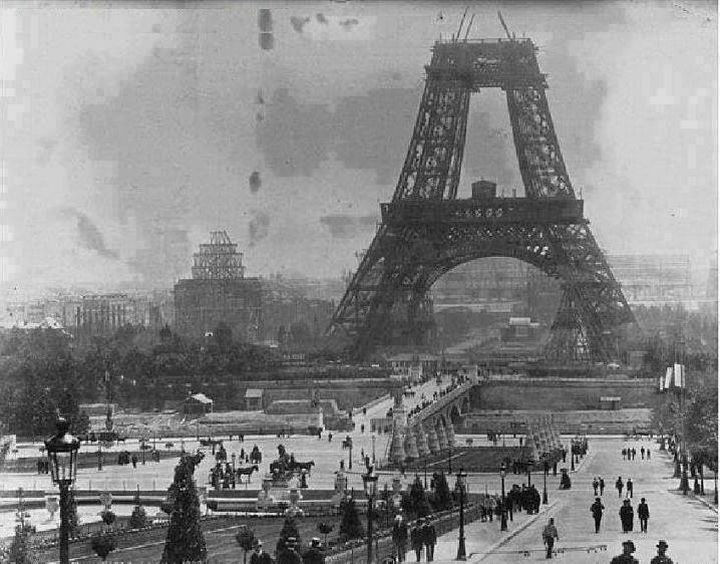 17) 1888: A rare photo of the Eiffel Tower under construction. 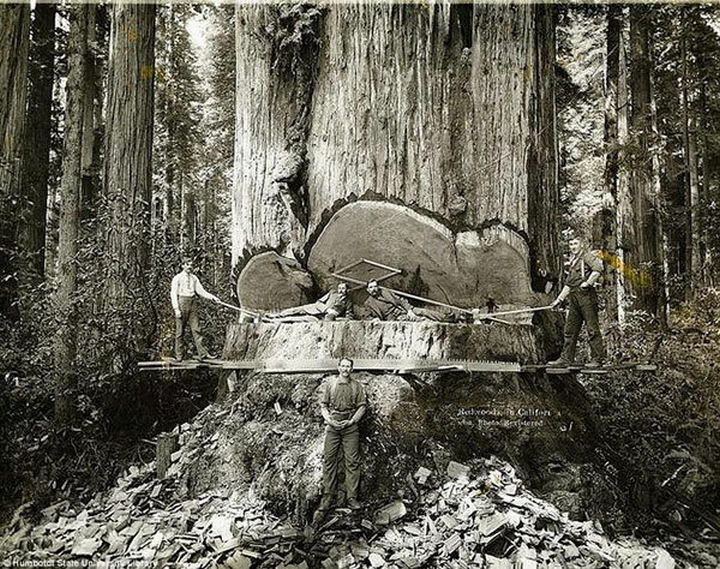 18) 1915: Turn of the Century Lumberjacks cutting down a gigantic redwood tree in California. Redwood trees are some of the largest and tallest trees in the world. The second tallest redwood tree in the world is ‘The President’ in Sequoia National Park. It is over 3,200 years old and stands 247 feet tall. 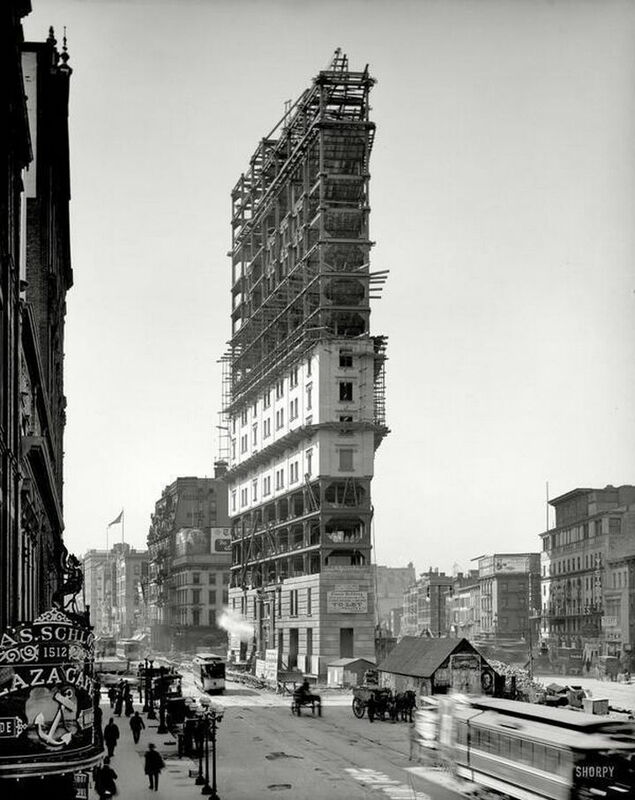 19) 1903: An early look at Times Square in New York City. 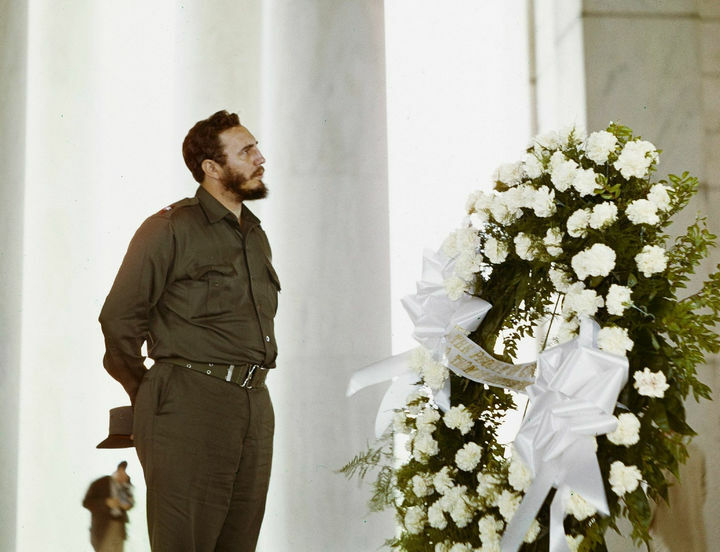 20) 1959: Fidel Castro, political leader of Cuba from 1959 to 2008, visiting the Thomas Jefferson memorial in Washington, DC. 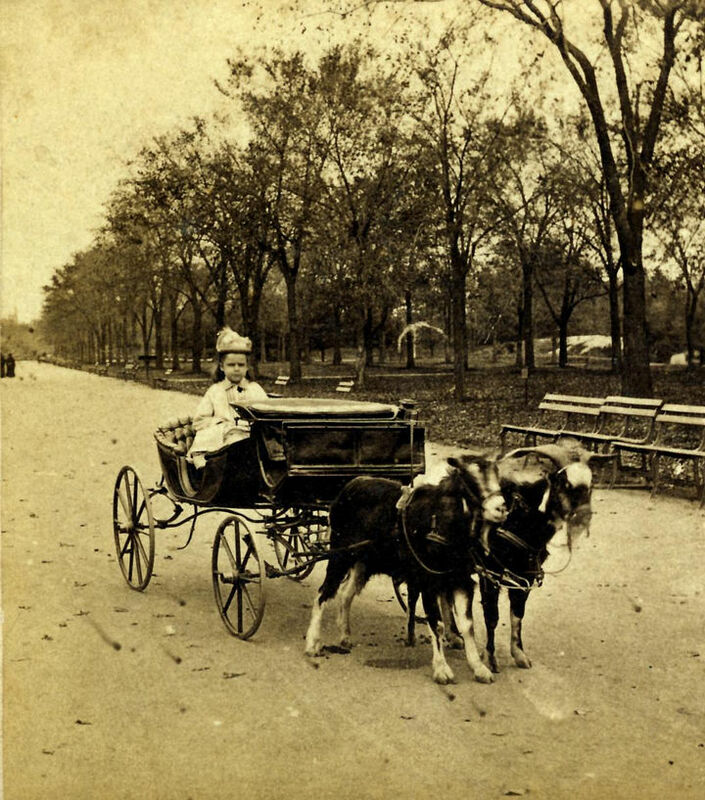 21) 1870: A little girl enjoying a lovely ride in a Goat Carriage in Central Park, New York. 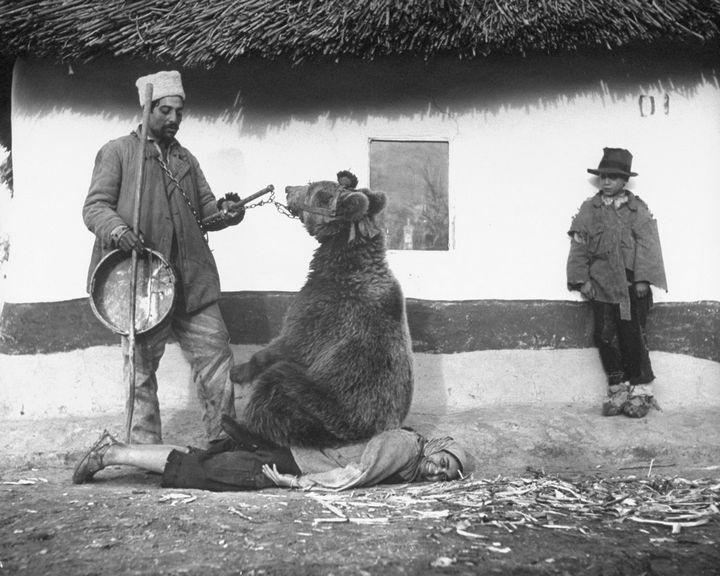 22) 1946: Home remedy for healing rheumatism in Romania by having bear sit on you. 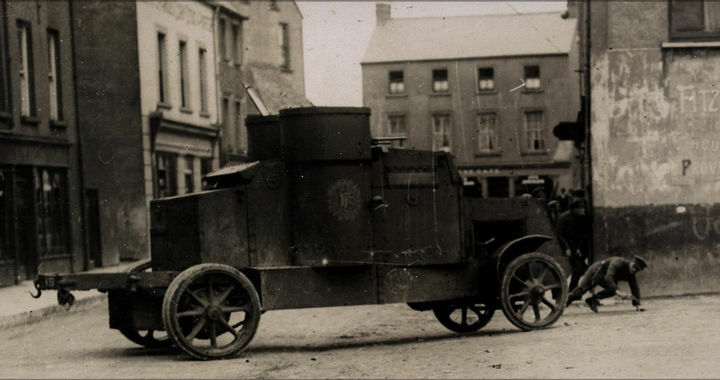 23) 1922: Armored car during the landing of the Free State troops in Cork city, Ireland. 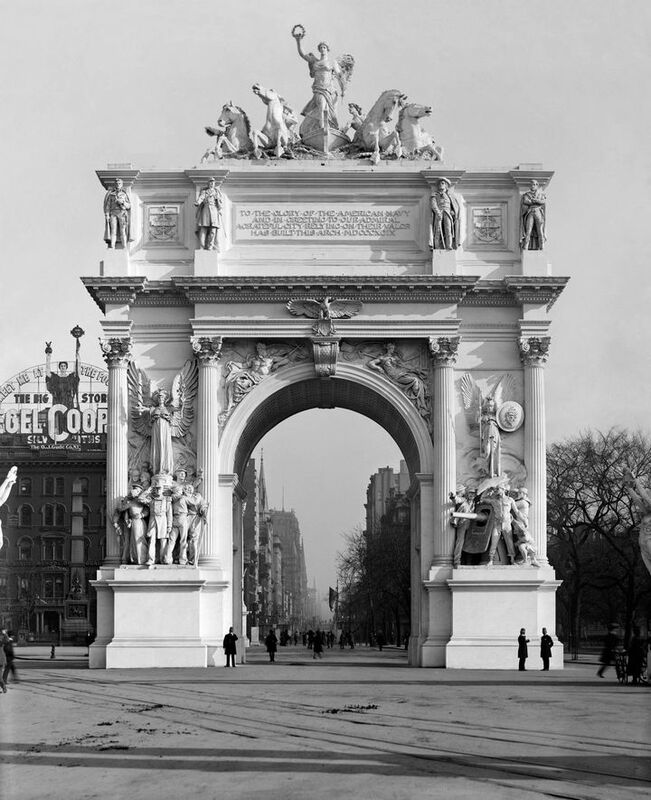 24) 1899: The Dewey Arch was a magnificent triumphal arch that stood in Madison Square in NYC, which celebrated the victory in the Battle of Manila Bay at the Philippines. It quickly began to deteriorate and was demolished in 1900 because of a lack of funds required to repair it. 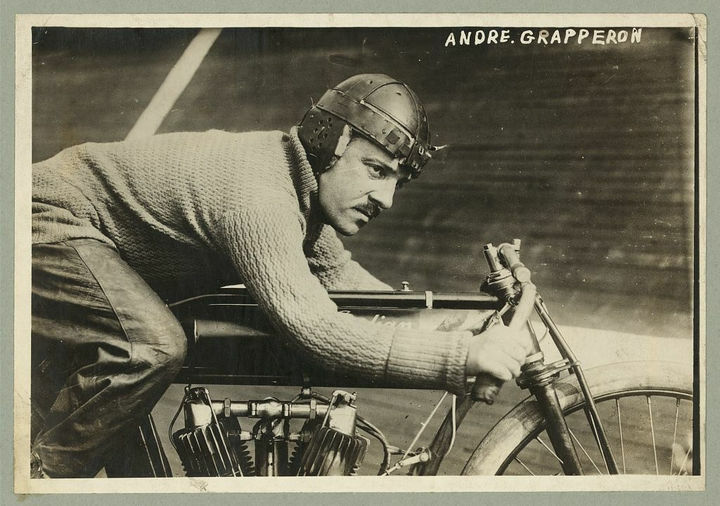 25) 1913: André Grapperon, French champion motorcyclist, rides his 1912 Indian Board Track V-twin. 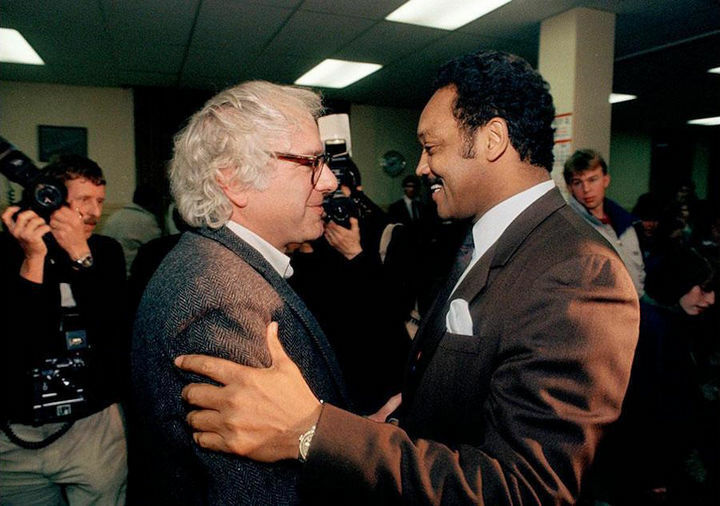 26) 1989: Then mayor Bernie Sanders meets with Jessie Jackson in Montpelier, Vermont in 1989. Sanders had endorsed Jackson for president during the 1988 election. 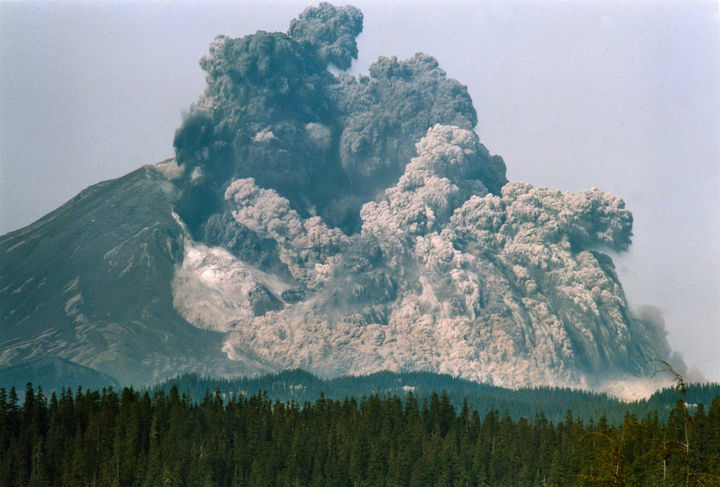 27) May 18, 1980: The eruption and catastrophic collapse of the north face of Mount St. Helens. 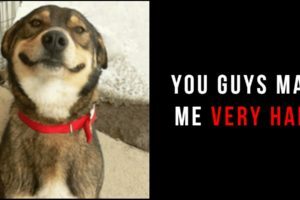 It was photographed by Gary Rosenquist, 11 miles northeast at Bear Meadow. 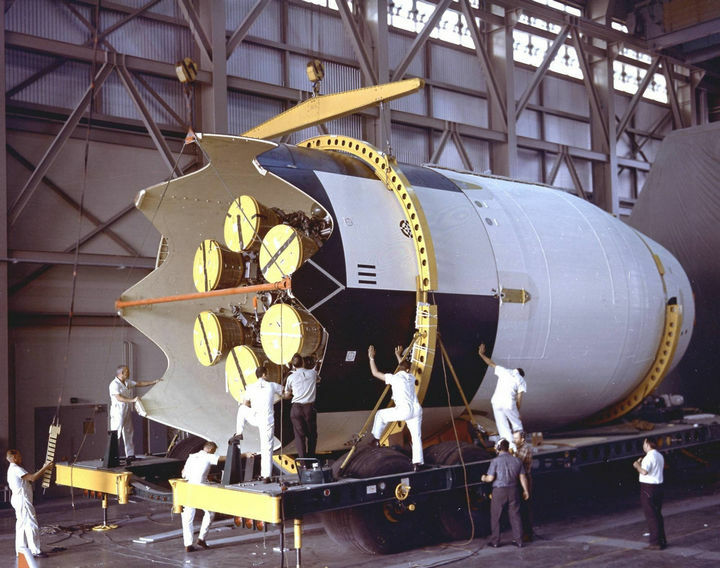 28) November 1st, 1964: Saturn I S-IV (second stage) assembly for the SA-9 mission undergoing some weight and balance tests at Cape Canaveral. 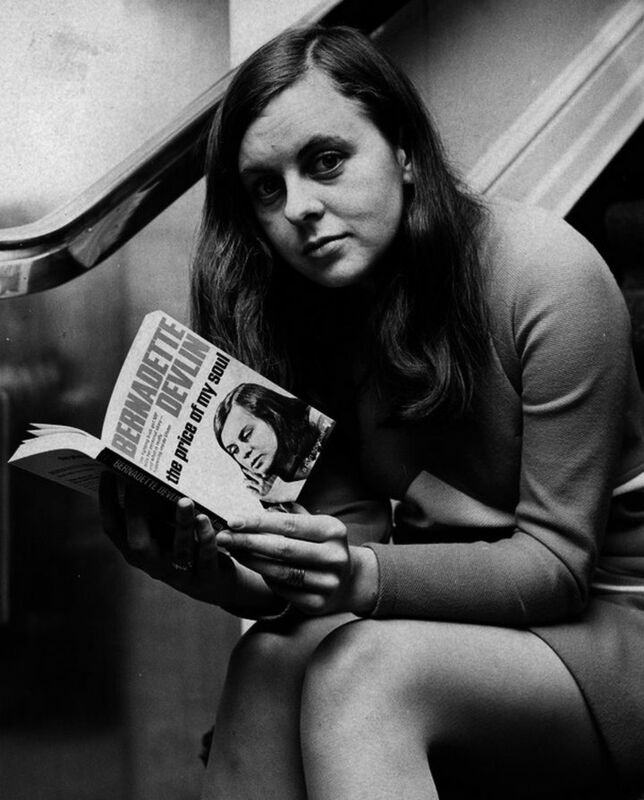 29) November 20, 1969: Bernadette Devlin, youngest female MP ever elected to the House of Commons, poses with her autobiography just before a press conference. 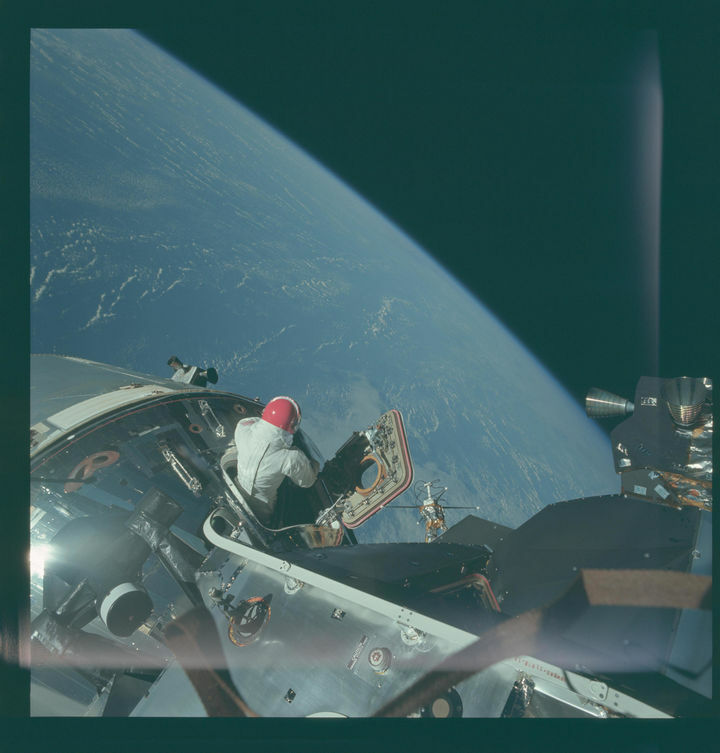 30) 1969: Astronaut David Scott taking in the incredible view from space during an EVA from Command Module Gumdrop. 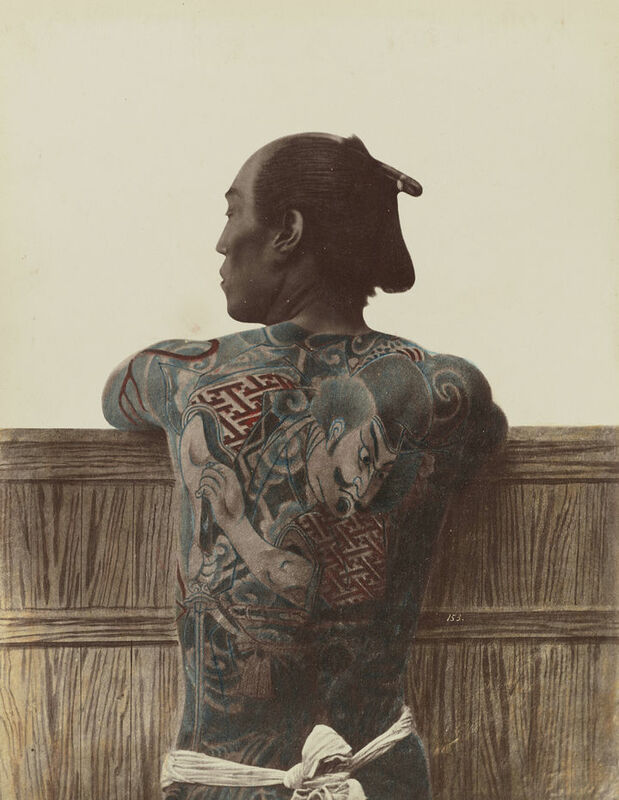 31) 1875: A Japanese Man with an Irezumi Tattoo. 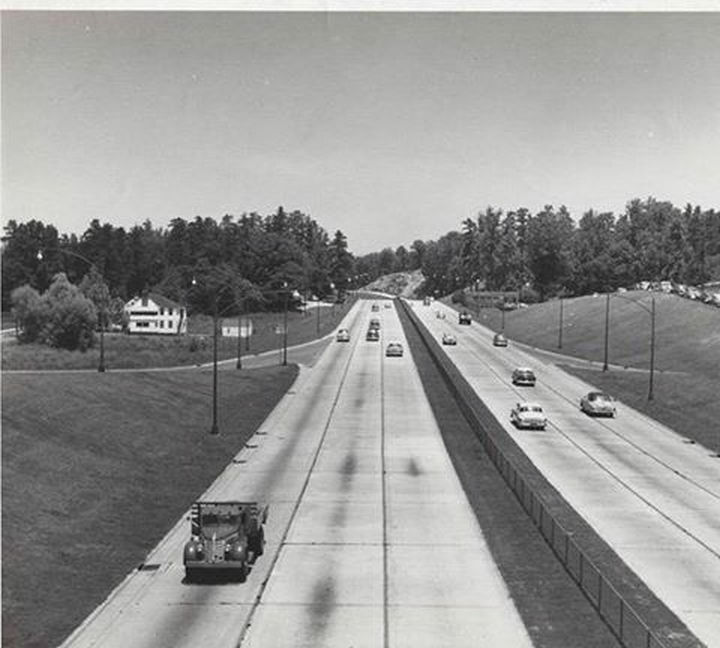 32) 1955: A view of I-75 in downtown Atlanta. 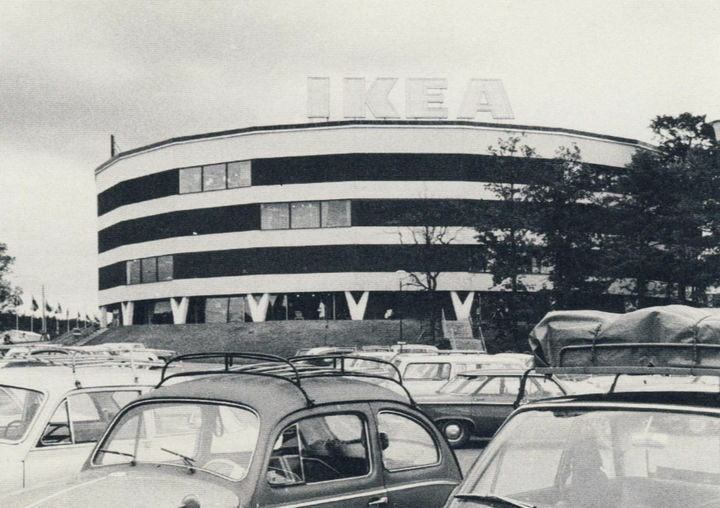 33) 1965: The largest IKEA store in Kungens Kurva, Sweden. The flagship store stands in the same location today. 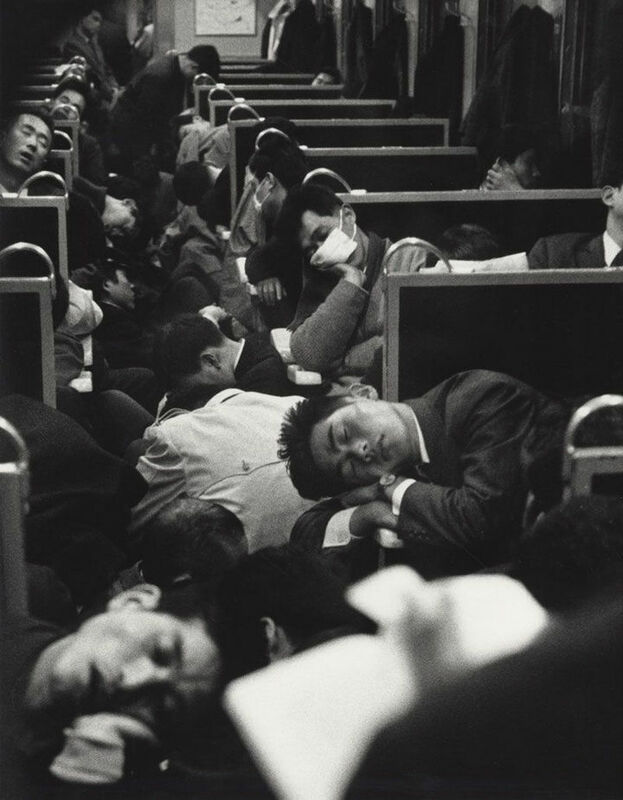 34) 1964: Early morning commuters resting on the way to work on a train in Japan. 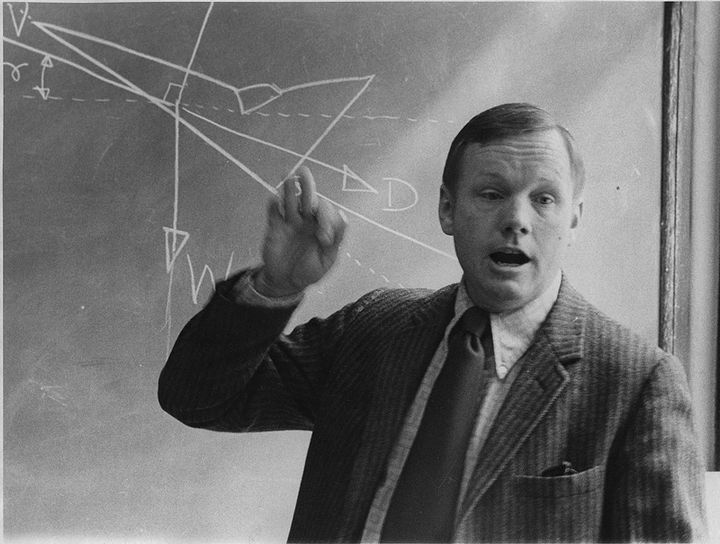 35) 1974: Professor Neil Armstrong teaches an aerospace engineering class at the University of Cincinnati. Only 5 years after being the commander of Apollo 11, the first manned moon landing mission in July, 1969. 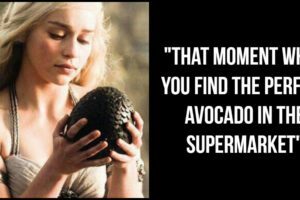 It is amazing how far civilization has come in only the last hundred years and it boggles the mind to think how things will change over the next hundred years. Please share these 35 historical photographs with your friends and family. 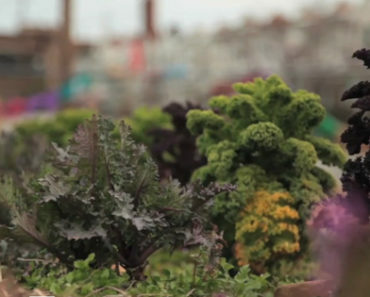 Grow Produce in Abandoned City Lots? 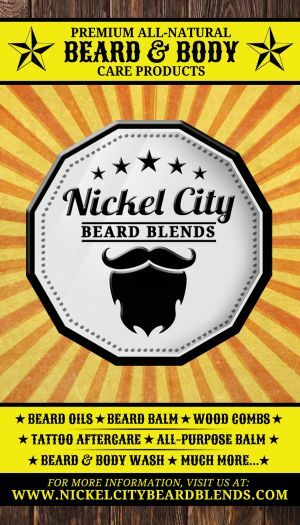 This Group Is Working to Make It a Reality.